The Ponds High School, located in the suburb of The Ponds in the north-west of Sydney opened in 2015. It is a coeducational comprehensive high school that has 1430 students in Years 7-11 in 2019. The school currently has 53% of students from a Non English Speaking Background and 1.3% of students who identify as Aboriginal or Torres Strait Island Background. The school shares a site with Riverbank Public School and is a part of innovative and energetic community approach to teaching and learning. 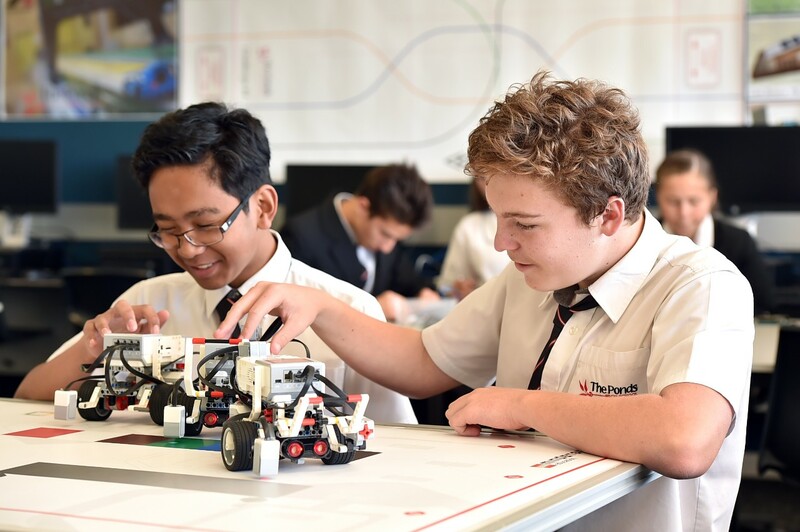 The school has developed outstanding teaching and learning programs including a Bring Your Own Devise policy to embrace future focussed learning, a robust approach to student wellbeing, a culturally inclusive program, strong STEM expertise and support for the Creative and Performing Arts. The Ponds High School has also been very successful in the area of Sport and there are many opportunities for students to participate in or compete in knock out teams and in regular sports program. There are many interest clubs that students can join including specific support at homework club, senior study club and Year 7 Maths help club, all of these run regularly. The school has a small support class and a Gifted and Talented class in each year group, necessitating a holistic and inclusive approach to learning and teaching. A strong semesterised Stage 5 elective system enables an extensive array of choices to enhance student learning opportunities. The Ponds High School is embracing CANVAS as an online management platform which provides a wide range of tools and resources to further support student learning.